The process of purchasing a house today is much more complicated than it was a decade ago. Lenders are more stringent on what consumers they approve for loans, and the real estate market is highly competitive. So, a prospective buyer must educate themselves not only on the steps to buying a house but being approved for the loan in today’s market. The first step in buying is asking yourself “should I buy a house?” In some cases, you may find that you are not financially ready for a new home, or you are not willing to commit to a long-term debt obligation. Regardless, you must sit down and decide if a home purchase is right for your mindset, and finances, before starting the process. The biggest process of buying a house is the loan process. Finding and placing an offer on the house is relatively simple compared to the credit and paperwork portion of homebuying. The loan is the most time-consuming and stressful part, too, because you must furnish multiple documents and take a hard look at your finances. Before applying for a loan, check your credit report and ensure there are no errors. Also, check your credit score. FHA recommends knowing your score because it not only determines if you are approved for a loan but how much of a down payment and the type of interest rate you will receive. FHA estimates that a score of 580 or higher only needs a 3.5 percent down payment, while a score of less than 580 receives a 10 percent down payment requirement. 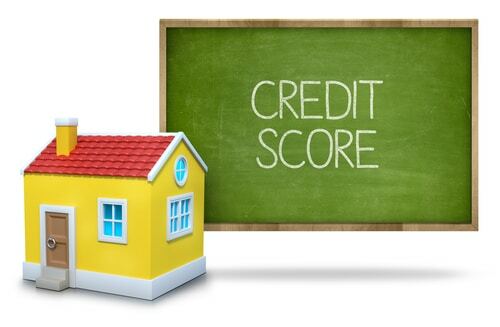 A person purchasing a home could potentially save thousands with a lower down payment (when their credit score allows). The next step is to go online and calculate how much of a mortgage a buyer can afford. Estimating helps the customer only look at homes within their target range and prevents them from looking at homes that are outside of their budget. Today, a real estate agent is the best way to find homes and access the MLS. While a buyer does not need a pre-approval to search for homes or even make an offer, U.S. Bank recommends being pre-approved, because it makes a potential buyer more attractive to the seller. Taking the time to get pre-approved tells the seller that the purchaser is serious about buying the home, and lets the seller know that they are less likely to run into complications with the loan approval. Some real estate agents may have a policy that they will not show homes to a buyer that is not pre-approved, or at least pre-qualified, because they do not want to waste their time or the seller’s time. After the buyer has a list of what they want and the area they would like to move to their real estate agent will pull together a list of homes to see. It is important that a buyer knows what to look for when buying a house, and while their real estate agent can offer insight, the consumer is the one that must make the final decision. A customer can start by making a list of the items that their new home must have. The must have list is non-negotiable, and these are things the home must possess to be suitable. For example, having a specific number of bedrooms. A list of optional items is helpful, because this helps the consumer see if a home suits their personal preferences too. However, the optional list is negotiable. While the interior of the home and curb appeal are important, location matters too. A buyer should consider if the home is within their desired school district, how long the commute is to work, and if there are local stores nearby. Also, the amount of traffic on main roads that get to the new home matters, especially for someone that must drive to work and come home during peak traffic hours. Once the offer is made and accepted, the buyer’s journey is nowhere near over. They must first go through the home inspection, appraisal, and the long process of approval from the lender. Most closings can take anywhere from 20 days to as long as two months, with a variety of factors determining when a buyer will receive their keys.